New Year’s Eve was a whole 73 days ago now. If your resolution of tightening the purse strings has already fallen by the wayside, then give our money saving tips a read – they might just change your life! Are you the type of person who wanders around the supermarket for hours and are then surprised by your whopping £300 receipt at the checkout? If so, a pre-planned list is most definitely the answer. When making this list you need to plan all of your week’s meals in advance – including breakfast and lunch. Also, plan all of your snacks and treats too. That way when you get to your supermarket, you know exactly which aisles to head for, meaning you will save time as well as money. Not only will this stop you overspending during your weekly shop, but it will also stop all those expensive midweek ‘top-up’ shops at your pricey local newsagent or petrol station. Do you have empty, un-used inkjet cartridges lying around? Or worse still, do you chuck your ink cartridges in the bin once finished? Well you should know that you can earn money by recycling them. 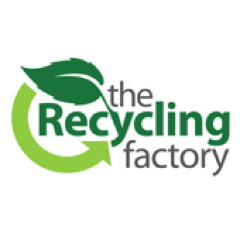 The Recycling Factory reward you for sending them your empty, used ink empty cartridges and will also donate to your chosen charity partner in the process. Over 350 million cartridges are thrown to landfill every year, with each of these taking up to 1000 years to decompose. So by recycling your ink cartridge, you will not only be earning some extra money, but you will also be helping the environment. Have a good tidy up and find things that you have absolutely no need or use for anymore, then sell them via an online auction site. One man’s trash is another man’s treasure, and after all, you really have nothing to lose. It’s not as if you were using them anyway! Unless you want to be the next Arnold Schwarzenegger, then there is absolutely no need for you to pay a £50 gym membership every month. If you are looking to lose weight then high intensity interval training (HIIT) workouts are a great idea. The Body Coach, Joe Wicks hit the headlines recently, with his ‘Lean in 15’ cookery books, and to compliment this healthy eating program, he has released a workout DVD with short, sharp workouts ranging from 15-35 minutes. All of which can be done within the comfort of your own home and without any equipment. Alternatively, if you want to build a bit of muscle, then buy yourself a couple of dumbbells, a workout bench and research some home workouts. Everyone deserves a treat now and again – right? The problem is, treats can hit your bank balance hard, which begs the question - why pay full price when you don’t have to? Whether your chosen treat is a meal out, a spa day or a weekend away, you can save money with a voucher code. In fact, you can find a voucher code for pretty much any type of purchase these days – particularly if you check sites like vouchercodes.co.uk beforehand. Using one is simple, all you need to do is find a suitable code, before entering it at an online checkout or printing it off and presenting it at your chosen venue. Don’t feel like you’re doing anything wrong either. Retailers are absolutely fine with voucher codes, in fact they are a great way for them to attract customers. You will even find that companies like Pizza Express have a dedicated section on their own site for voucher codes! Do you find yourself spending a small fortune on original equipment manufacturer (OEM) ink cartridges? Or maybe you’ve paid the penalty after using cheap ‘copy’ compatible versions that aren’t cartridge safe? If so, you can save up to 70% by buying remanufactured cartridges. 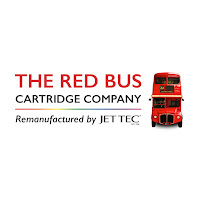 In fact, The Red Bus Cartridge Company are online sellers and have over 1,000 remanufactured products for you to choose from. We also offer free, next day delivery and never sacrifice on quality. So if you are looking to save money on your printer cartridge costs then head over to our website and check out our products.